Join us for the annual Scott’s Group of Companies Mount Gambier Gold Cup carnival! Thoroughbred Racing SA is putting fashion at The Races in the spotlight with an official statewide competition searching for South Australia's most stylish racegoer. Join our FREE kids club, Stable Stars, and be kept up to date with our family-friendly race days. He produced the run of the day in the Millicent Cup last month and on Easter Sunday, Zebrinz will be back for a chance at redemption in the Penola Cup. Some of the state’s biggest and best trainers are sending a strong contingent of runners to Clare this Easter to make for a super day of racing across SA. With Oakbank's famous Easter carnival taking place this weekend, Punters.com.au have taken a look back at some noteworthy moments that have occurred at the iconic racing event. There’s a reason it’s one of the most loved racing carnivals in Australia and this year’s Oakbank card is well and truly delivering the Easter goods with history to be made over the jumps and strong fields across the board. 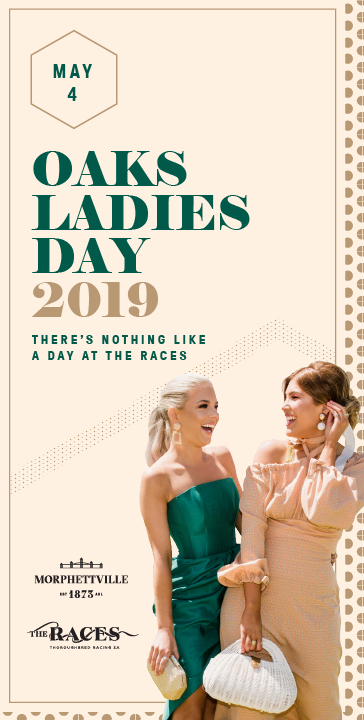 The Oakbank Easter Racing Carnival will be the place to be this Easter long weekend for Adelaide Hills residents and sporting club members, who’ll receive a 10% discount on entry and hospitality packages. Racing is back in a big way at Morphettville this weekend with five Stakes races all part of a massive day of racing. Subscribe to our enewsletter below to receive regular updates on all things racing, events and industry news.